I started my digital marketing journey four years ago. I kept reading I should consider blogging but they never said how to find topics to blog about. They only said “find topics your audience is interested in” or “write about the things people are searching for”. It’s great advice. But it’s completely unactionable. I mean, how do we find these topics? And how do we get the feedback? That’s exactly what you're going to learn today so keep reading. How do twitter polls work? 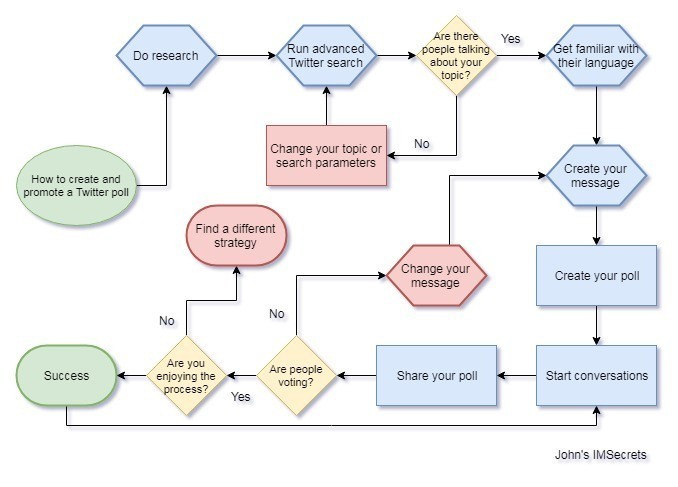 Why do twitter polls work? How can I create a Twitter poll? About a year ago, I started using polls on Twitter (I was terrible at it). 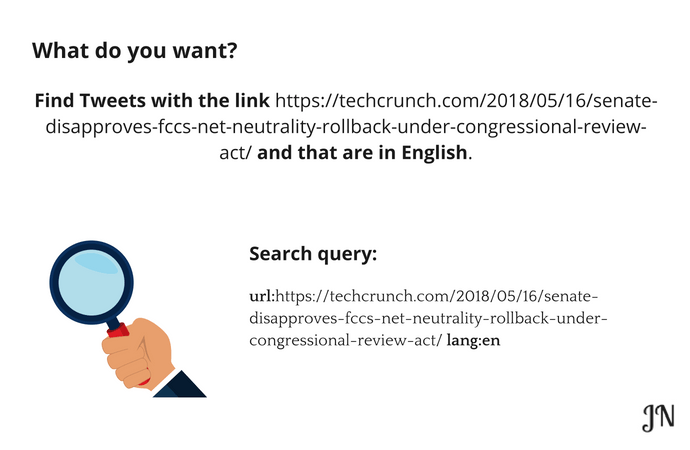 I created my poll, added a nice call to action, and waited. Not a single vote on the poll. I decided to try again, only this time, I chose a different topic. I checked my analytics to see what my audience cared about and made a list of interests. I figured if it didn’t work I could try a different topic until I succeeded. There was one problem, though. I didn’t have a lot of attention on me. And the results I got were a reflection of that. I realized that after a month of testing and failure. You're going to learn how to make Twitter polls work for you. You'll learn how to get the attention you need and how to create polls that help you increase engagement. It’s simple. 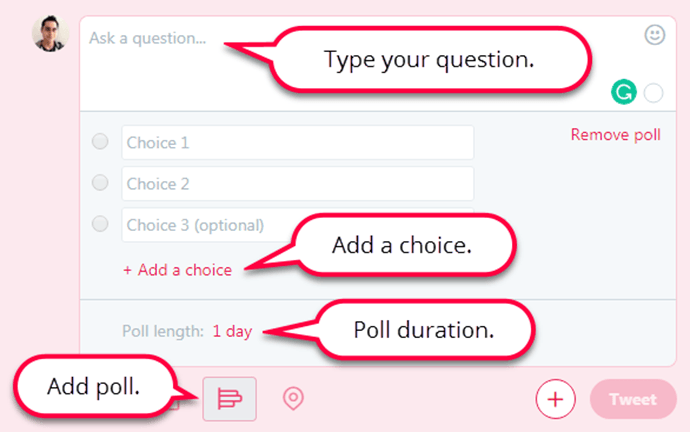 You choose a topic you like, ask a question, write up to 4 answers, select the poll length, and click on "tweet". After that, your poll goes to a part of your followers. They will vote and you’ll get feedback. Once it finishes, a new notification will appear in your notifications tab. When we use Twitter there are some things that usually go through our minds. Some people use the service to stay alert on breaking news, others use Twitter to “keep up with news in general”. 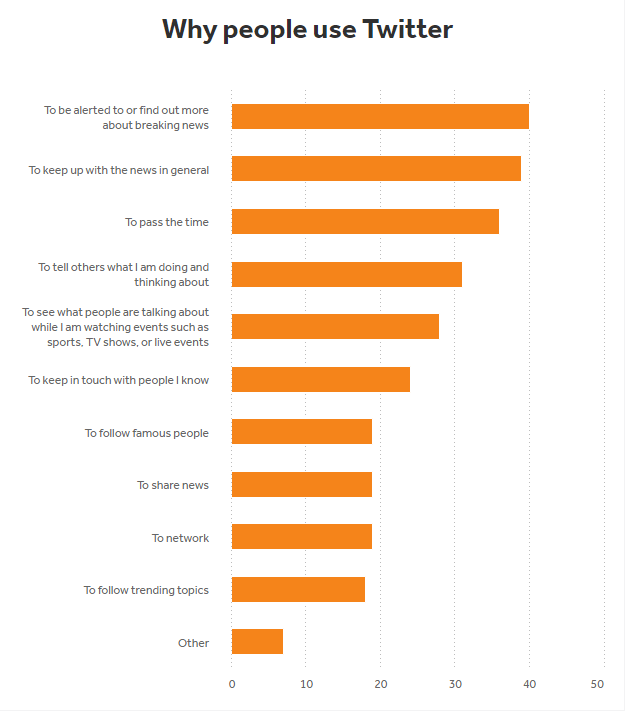 Many say to “pass the time”, and a few use the network to second-screen during live events. Knowing this, we can create polls that leverage those topics to engage our audience. For instance, let’s say that Twitter released news about changes to the platform. We can create a poll asking people for their opinion. Twitter plans to release threads to the public (also known as tweetstorms). How do you think it’ll impact the platform? There’s going to be more spam. It’ll give us more room to express ourselves. It’s going to destroy Twitter. Twitter polls work because we want the feeling of importance (to give our opinion). They leverage fear, curiosity, and/or entertainment to get our attention. You'll learn how to create an effective poll in the next section. Before we get started, there’s something you need to know. If your account is new or you have NO engagement on your Twitter account, you’ll have to promote your polls. If you have some attention on you, then consider skipping the “promotion” step. You’ll see 5 tabs (home, tweets, audiences, events, and more). Click on “audiences”. Scroll down until you see the “interests” section. Make a list of the first 5 interests. 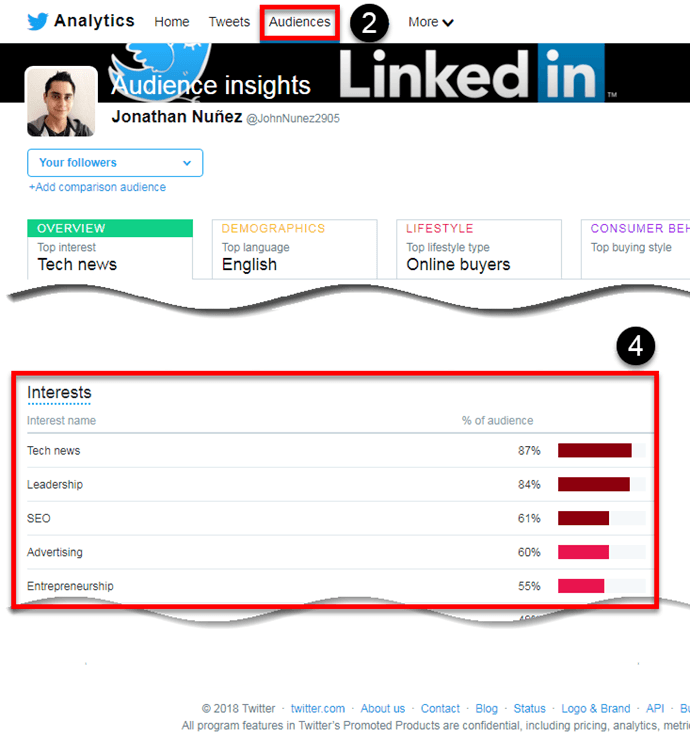 This is what your followers want; use those topics to guide you when creating your polls. The main reason people fail is they were doomed from the start. Login to your account (if you don’t have one then create one). The next steps depend on what you want. 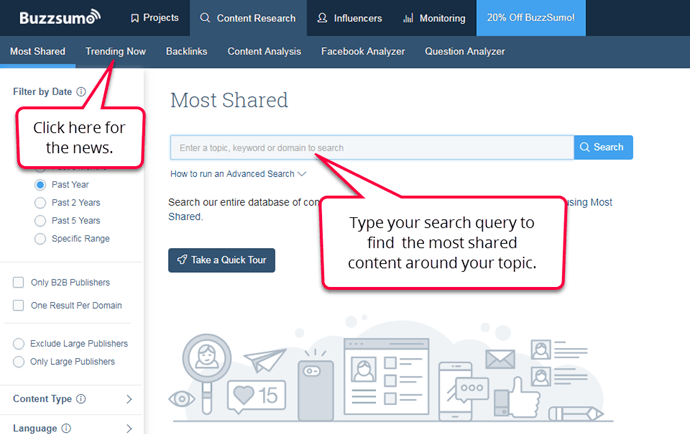 Search for your main topic on the “most shared” tab. 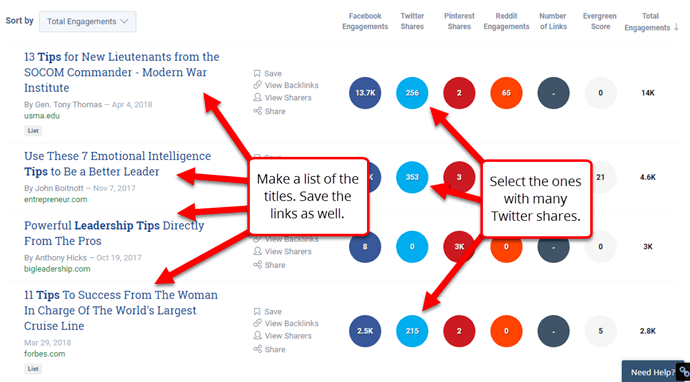 Analyze the topics that appear in the search results (make a list of the titles with the most engagement and save the links). If you want news related content, click on “trending now”. Select the category you are interested in. Analyze the results and choose a topic your audience cares about. Save the link of the article. If there’s a “top stories” section at the top of your search, copy the titles they use in a Google doc. Scroll down to the end of the search results. Copy all the “related searches” in your Google doc. Click the following link if you want to read the full list of TSOs. Type in your advanced search. By now you should already have a list of searches in your Google doc. 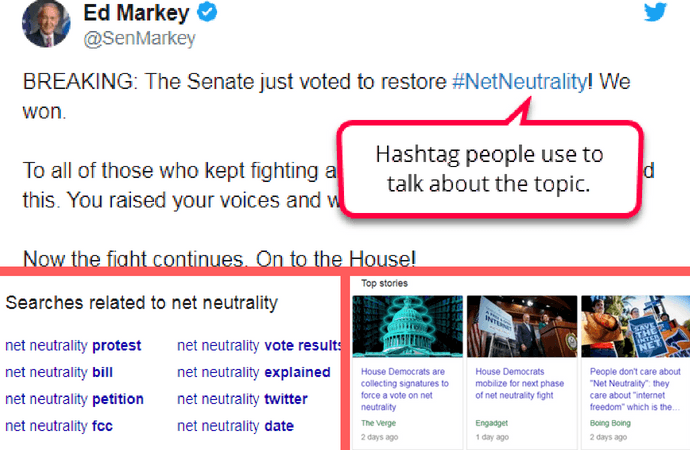 You are going to use them to find conversations on Twitter. On TweetDeck start a new search for every related search you found on Google. Analyze the results and identify the words people use the most. Make a list of them. It has to be specific. If possible keep it under 100 characters. Use the language they normally use to connect. Your message has to have a call to action. It depends on the device you are using (mobile or desktop) but the process is similar. Click on the Tweet compose box at the top of your Home timeline, or click the Tweet button in the top navigation bar. Click the Add poll icon. 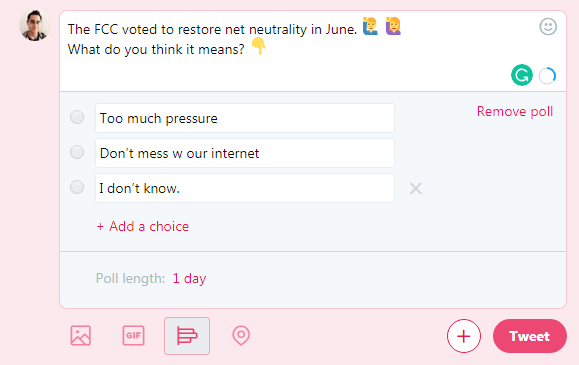 Click + Add a choice to add more options to your poll. 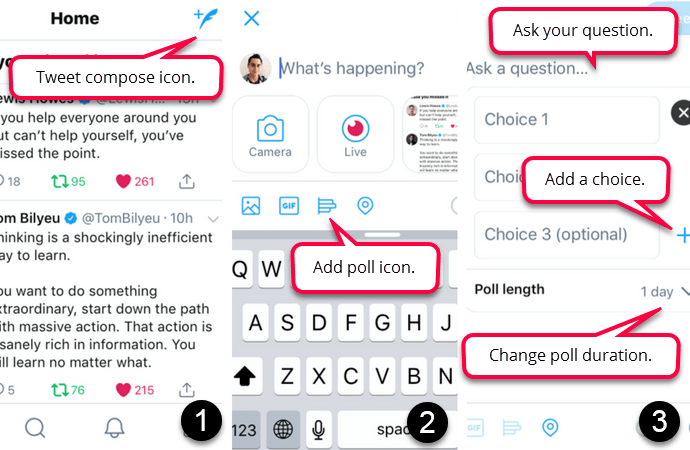 Your poll can have up to four options. Your poll’s duration defaults to 1 day. You can change the duration of your poll by clicking 1 day and adjusting the days, hours, and minutes. The least amount of time for a poll is 5 minutes, and the most is 7 days. Tap the Tweet compose icon. Tap the Add poll icon. Tap + Add a choice to add more options to your poll. Your poll can have up to four options. Your poll’s duration defaults to 1 day. You can change the duration of your poll by tapping 1 day and adjusting the days, hours, and minutes. The least amount of time for a poll is 5 minutes, and the most is 7 days. At this point, you should already have a few active searches on TweetDeck. What you’ll do now is analyze your results. Engage with the content that shows up and ask for people to vote on your poll. 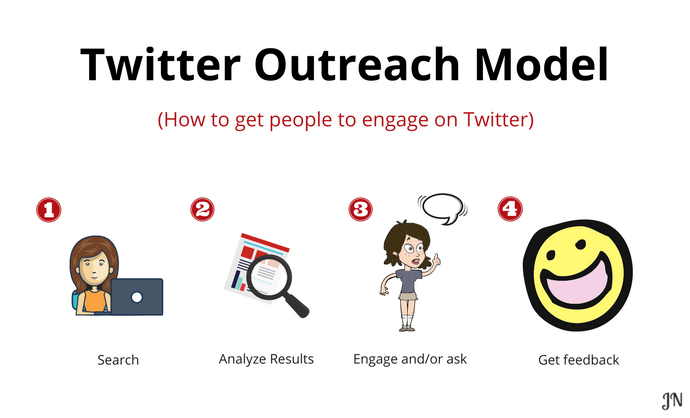 I call this method TOM (Twitter outreach model). If you don't have a clear process for content creation and promotion, it'll be difficult to replicate your results. Click on the upper right part of a tweet. Click on “copy link to tweet. Tap on the bottom right part of a tweet (it looks like the send icon). Tap on “share tweet via”. 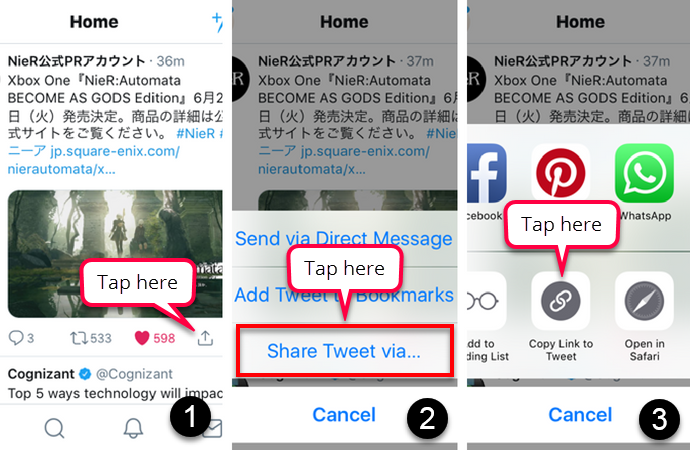 Tap on “copy link to tweet”. Having said that, give your content the best chance to succeed. If you don’t have a lot of attention on you, make sure to promote it. What’s your favorite way to engage your audience? Great article, Jonathan! I haven’t really used Twitter polls to the full extent, but this has just opened my eyes to it.